One hallmark of a great singer is the ability to suspend the listener’s disbelief. The storyline of “Cop Car” is very far-fetched, one of those Nashville compositions that takes fantastical lengths to try and tell the story of a young couple falling in love. In this case, they’re doing so right after being arrested for trespassing, while in handcuffs in the back seat of a police car. Keith Urban’s heartfelt delivery and careful choice of what lines to emphasize keep the proceedings grounded. He’s so effective at capturing the feeling of falling in love that the specifics of the event surrounding the moment are appropriately secondary to the emotions at play. I don’t believe the story, but I believe him. Absolutely! “I don’t believe the story, but I believe him.” – Spot on as always Kevin. This is my favourite song on Fuse. I’m so glad he’s finally releasing a good song…does anyone remember the last time he did that? I’m a huge Keith Urban fan but his work of late has been dreadful. This song captures the magic and talent that Urban possess but keeps hidden. I just wish that the productions for his songs would stop sounding like dull R&B tracks with those dreadful drum machine beats. Kevin, you are on a roll with your reviewing. 6 in 3 days! This is my favorite song off an album that I adored. One of his best to date IMO without a doubt. Vocals (as you pointed) are excellent. This song has left me cold so far, mostly because the scenario feels so contrived, but I agree that the vocals go a long way toward selling it. This song for some reason takes me back to being young, fearless, and….stupid. Any of you guys ever been caught parking on a back road by the police?? ;) Just saying! So I guess I’m saying I connected with the song right off! This is absolutely my favorite song from ‘Fuse’. I haven’t really paid much attention to the lyrics of Keith Urban songs, well probably since “‘Til Summer Comes Around” which I think is really well-written. 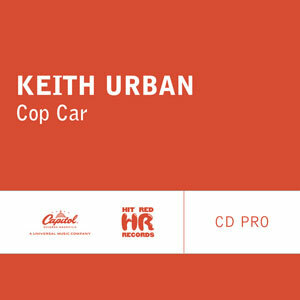 I like “Cop Car” because of the vivid story telling and the believability in Keith’s vocal performance. I hope it does well on the charts! Not bad. The last Urban single I had any enthusiasm for was the uptempo “I’m In”, written by Georgia Middleman and Radney Foster. I like this song mostly because the story is a little different than usual. It’s nice to hear about falling in love in the back of a cop car instead of the back of a pickup truck. I do find it a little strange that he keeps describing the girl as innocent despite other details of the song that don’t make her seem so innocent. What happened to the “Who Wouldn’t Want to Be Me”, “Better Life” and “You’ll Think of Me” Keith Urban? Someone go back to 2002-2004 and bring that guy back, please! As LeAnn said above, I would enjoy Urban’s material so much more if it wasn’t so reliant on thrashing percussion and needless drum machines. Keith said this was an experimental album so since his sales haven’t been that good (I love the album, though)maybe he will go back to what you guys think he should sing! If you want the same ole stuff on albums all the time, then you always have Luke Bryan, JA, and the rest of Bro Country and then there’s always Taylor, that is if she doesn’t realize she is totally pop. She might have to change hers up some now though because I think she’s not found her next victim. She might have to switch over to singing about her new BFFs and how many she has. Anyhow, they are the only ones selling albums! Nobody wants to hear something different. I’m not a fan of his reliance on drum machine beats either but I actually love the rnb beat on this song. It fits really well with the narrative and lyrics without being overbearing. Its very catchy and doesn’t sound too generic. One of his better singles imo. …”innocent on the back seat of a cop car” – song of the year stuff. then again, thank god it’s only january.